I’ve slacked quite a bit on posting monthly goals. In fact, I am resolving to post monthly goals at the top of each month every month in 2016. Seriously. I need something to help me stay focused and making goals for each month will help me to do that. With that said, I’d like to tick off a few goals for the month of December. This was the month of my birthday so that means I took 2 weeks off of work to celebrate. It also ensured I got to go to BOTH agency Christmas parties and this year, I ran another marathon near my birthday. Last year it was Dallas, this year was San Antonio. • lose a couple/few pounds or at the very least, DON’T GAIN weight! I more than met my goal of running at least 75 miles. At the posting of this, I had already run over 90 miles! I definitely and unfortunately succumbed to my eating disorder and gained more weight than I care to think about. But, I’m stepping on the scale weekly again starting with January 2nd and am determined to undo the damage I did this month and finally get to goal. I most assuredly hit my overtime goal for this month. The first week I worked 2 shifts and last week I worked 3 and then I’m working 3 again this week. I completely missed my gym goal and I think I’ve gone twice this month (three times if I make it there today). And I totally crapped on my goal of getting back to intermittent fasting. So, about 50-50 this month. How about you? 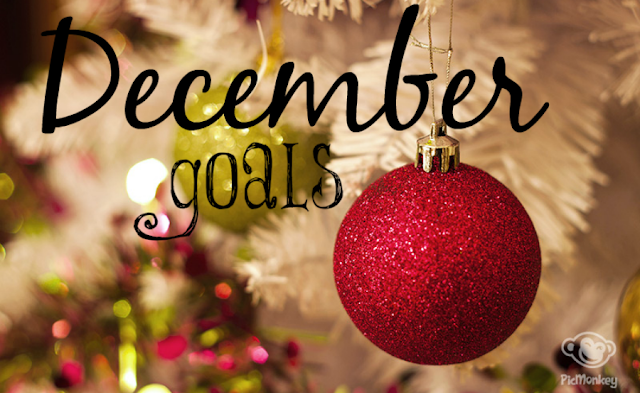 Did you make goals for December? If so, how did you do?